Press the fire button 5 times in quick succession to turn the device on. In the same way, the device will be powered off after 5 presses. Press the fire button for three times to shift between diffferent Modes when the battery is on. (1)under VW mode, it presents: battery life, ohm, voltage and wattage. (2)under VT mode, it presents: battery life, ohm, wattage, temperature and mode (Ni/Ti). Under VW mode, rotate the ring around the button clockwise or counterclockwise to increase or decrease the wattage (up to 80W); under VT mode, rotate the ring around the button clockwise or counterclockwise to increase or decrease the temperature (100-315C/200-600F). Rotate the ring faster clockwise or counterclockwise for continuous three grades, the device automatically increase or decrease 0.1W/5C(10F) numerically. Unscrew the airflow ring and remove the whole part. Screw the atomizer adapter tightly with a coin, then you\'re able to apply multiple types of atomizers with the 510 pin. 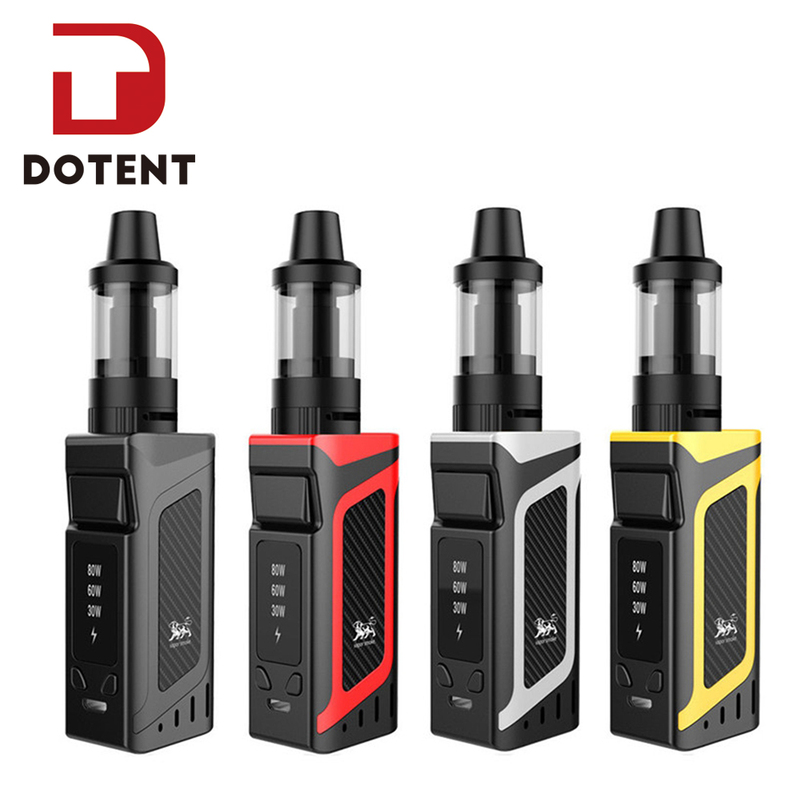 eVic AIO Kit doesn\'t come with e-liquids. You shall purchase e-liquids separately. There is CE mark on battery end. Compatible with NotchCoil, BF coil, BF RBA.